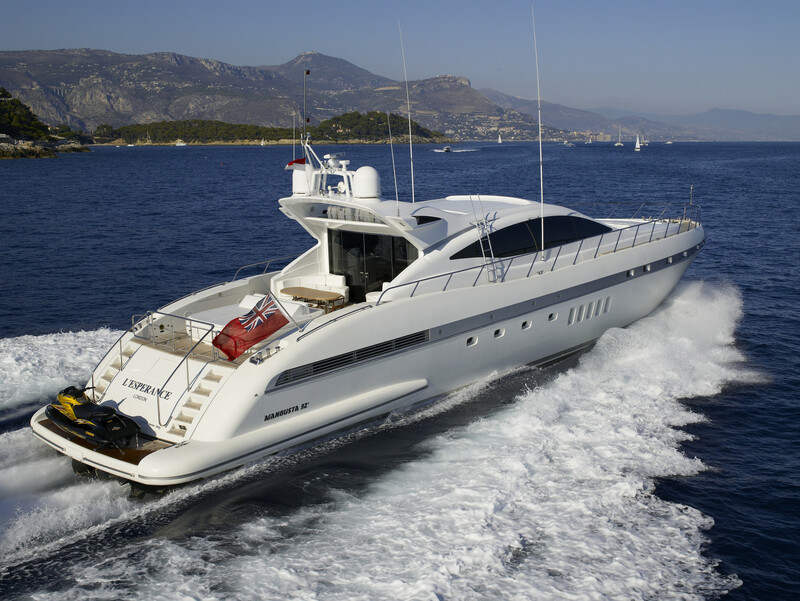 L’ESPERANCE is a 92 feet Mangusta motor yacht built by the Italian shipyard Overmarine in 2004. 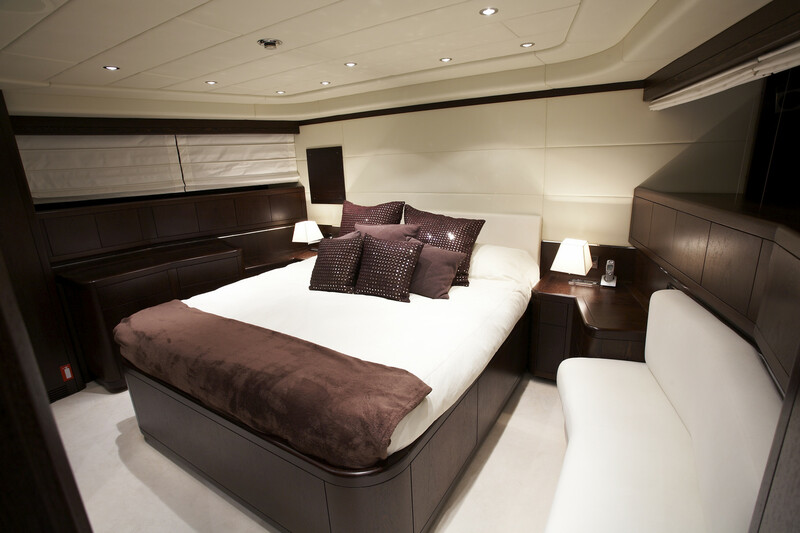 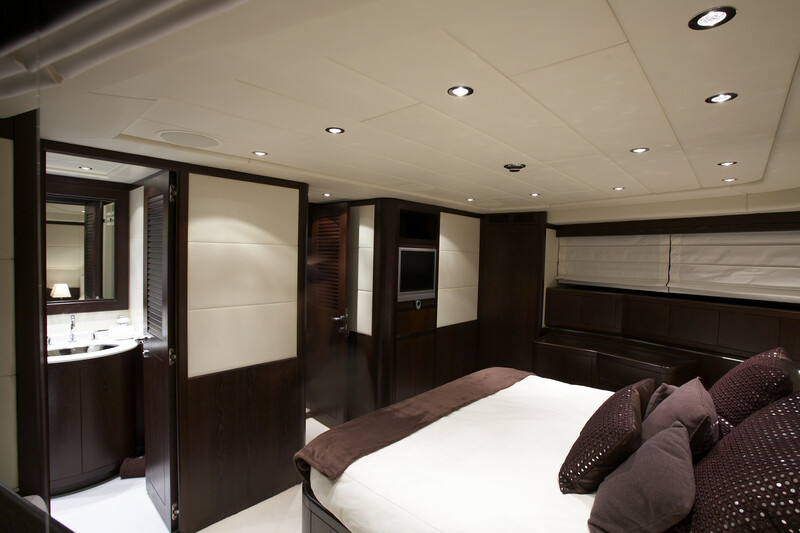 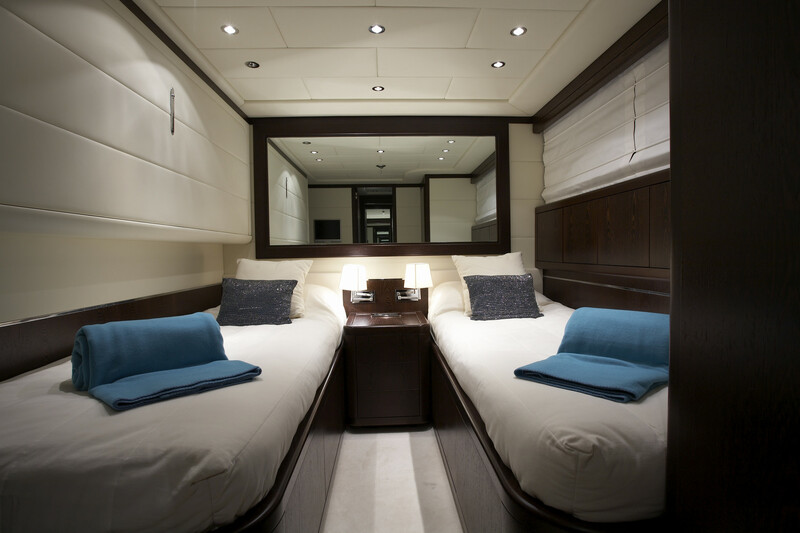 Her already tasteful interior has recently been further enhanced by new soft furnishings and she accommodates up to seven guests in a master suite, VIP and twin cabin with a Pullman berth. 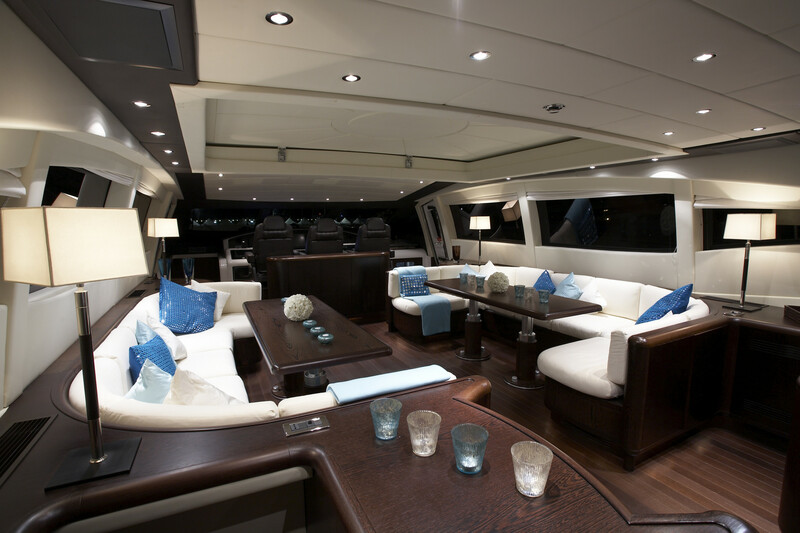 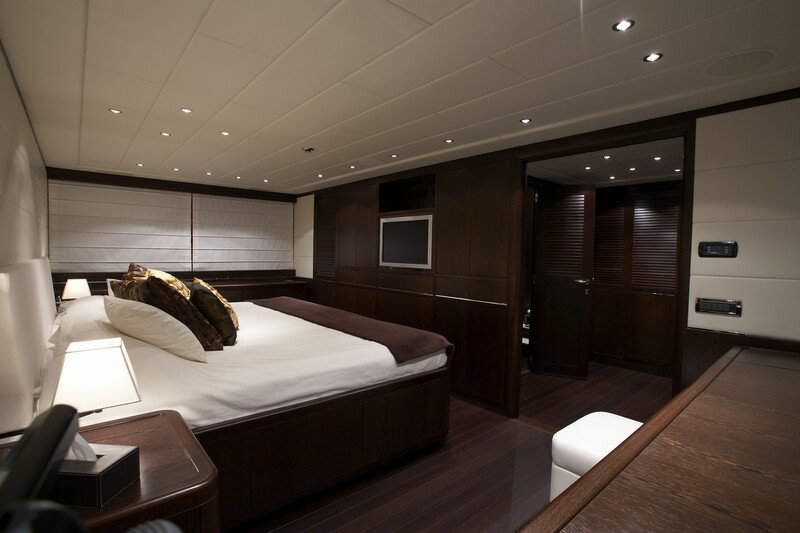 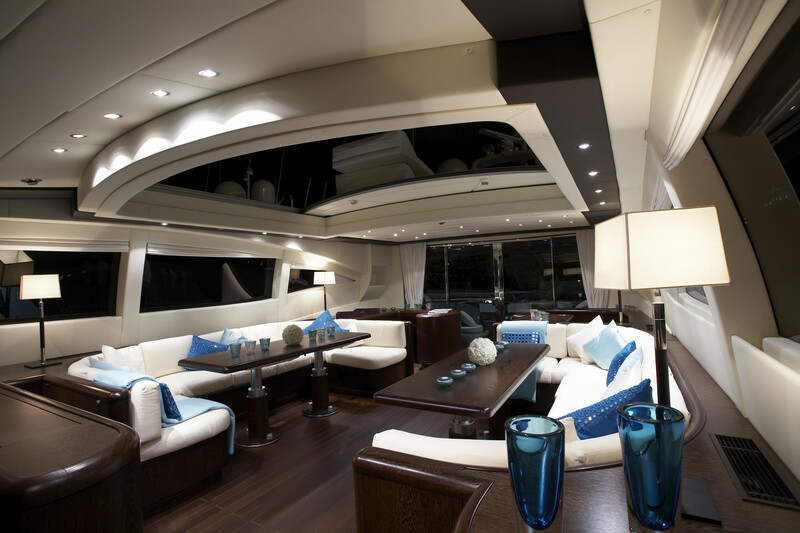 There are two distinct sunbathing areas aboard this superyacht: one on the foredeck, one on the aft deck. 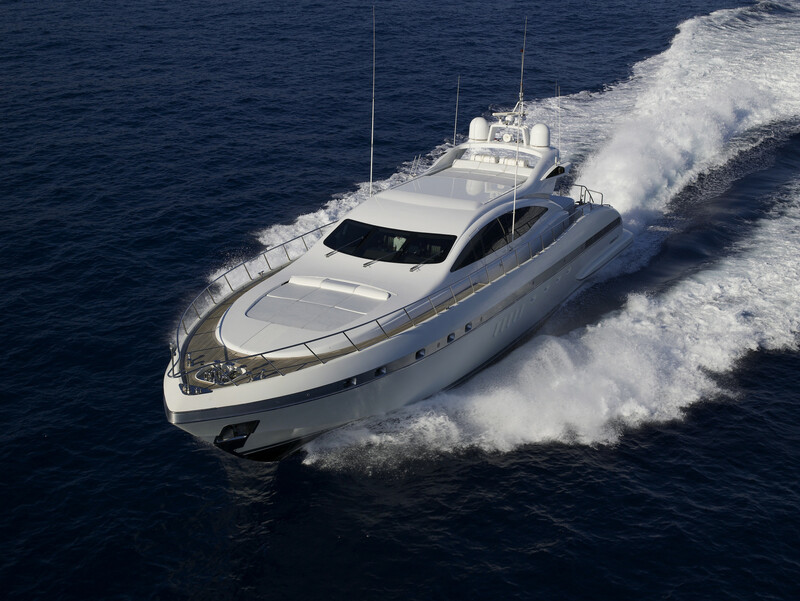 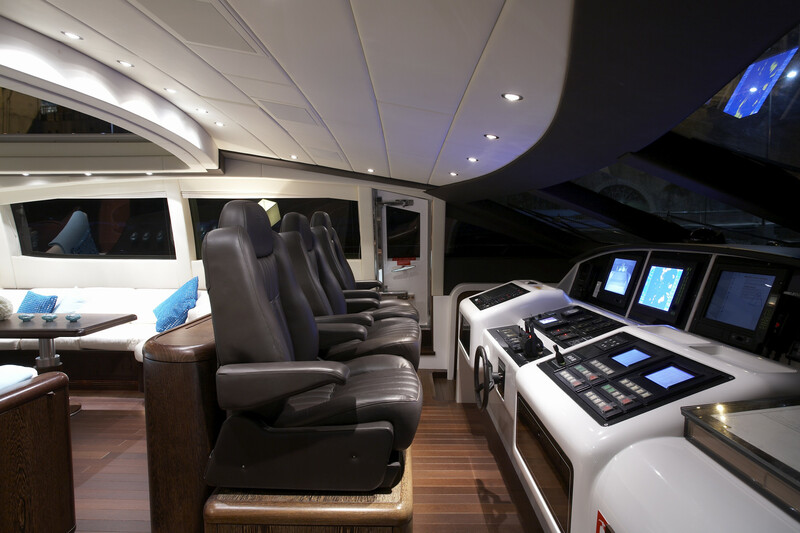 Twin 2000hp MTU engines power L’ESPERANCE to a cruising speed of 26 knots and a top speed of 34 knots. 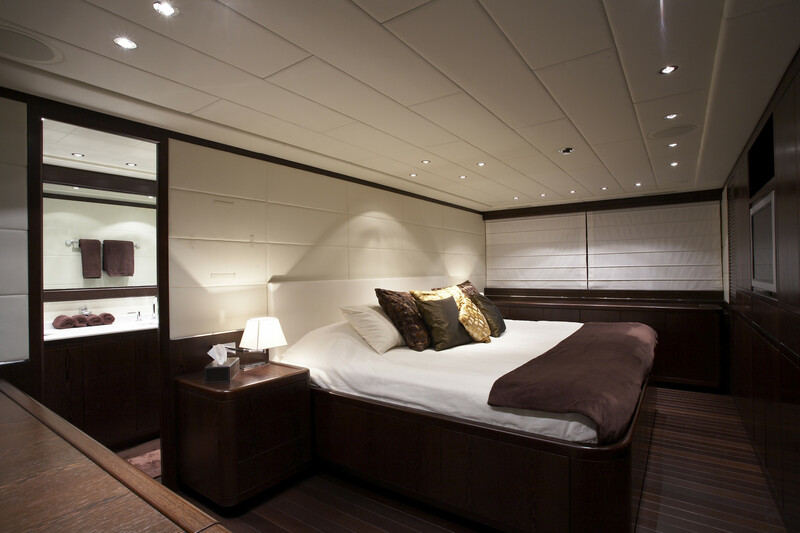 With exquisite interiors, she accommodates up to seven guests in a gorgeous master suite with a huge king size bed of 250 × 210 cm, a roomy VIP and one twin cabin with a Pullman bed. 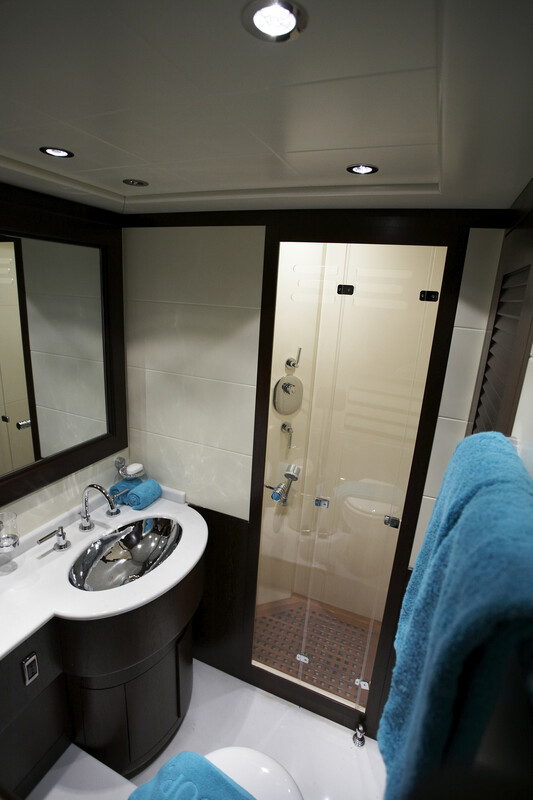 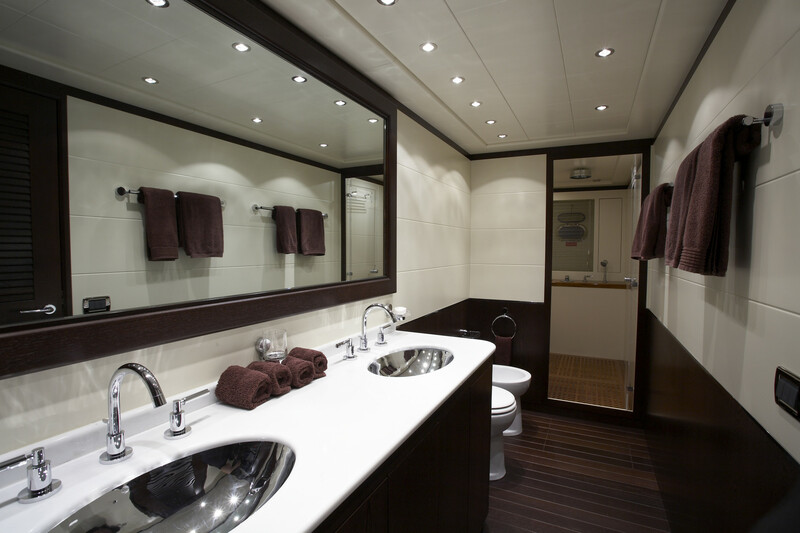 All modern comfort is available onboard, certainly the best solution to cover famous spots in the Med in a very short time.